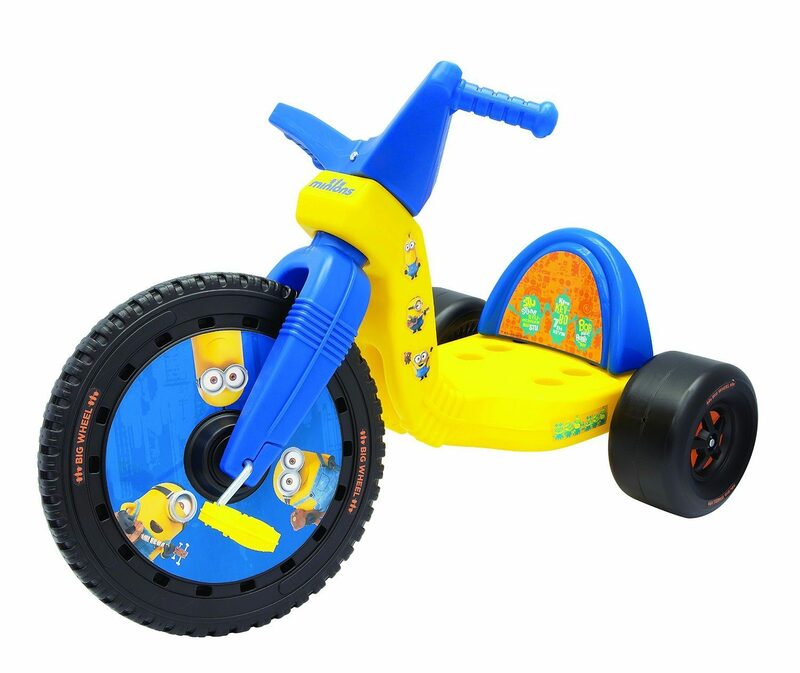 Minions Big Wheel, 16" Only $39.97 With FREE Shipping (Reg. $59.99)! You are here: Home / Great Deals / Amazon Deals / Minions Big Wheel, 16″ Only $39.97 With FREE Shipping (Reg. $59.99)! Minions Big Wheel, 16″ Only $39.97 With FREE Shipping (Reg. $59.99)! Do you have a Minion fan on your Chirstmas list this year? If so, check out this great Amazon deal! You can get this fun Minions Big Wheel, 16″ for only $39.97 with FREE shipping! With its large 16″ front wheel, the Big Wheel is a blast from the past! Now, even more exciting with Minions graphics of your kids favorite characters! The low-riding design offers easy on and easy off access and a low center of gravity for comfort and security. The easy to assemble (tools required), sturdy plastic construction of the Big Wheel, includes a “Grow with Me’ 3 position seat to fit your child’s growing needs. This pedal powered ride-on is for ages 3 – 8 years with a recommended weight limit of 70 lbs. The Big Wheel Product.